Looking for replacement Kohler small engine parts? 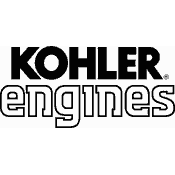 Replacement Commercial Parts offers Kohler OEM Express, a complete online order system for genuine Kohler engine parts at discount prices shipped directly to your door. Save from 10-75% on Kohler aftermarket lawn mower engine parts for your push mower, tractor and rider engines. Use our free parts lookup below or search by the part number on our website to see diagrams and pictures of the component or accessory you need. Looking for that last Kohler engine repair part to finish your service, or maybe you're lost and need a manual? You're sure to find what you need from RCPW. We've been an authorized Kohler dealer for over 20 years and our expert staff is ready to answer your questions or help you find the perfect match to finish your repair, so give us a call at 800-937-7279 today. Not sure what you're looking for? Browse all genuine Kohler parts here.